Best Activities in the Okanagan - Suggestions for your next RV trip! This week, Norman and I spent a few days in our old stomping ground – the Okanagan! (We lived in Kelowna last winter.) Sometimes, it’s nice to be a tourist somewhere you’re familiar with – it makes you see the place in a whole new light! That was certainly the case for us while we traipsed up the 97 and through the Okanagan Valley. The Okanagan has a LOT to offer, so if you have something particular in mind for your own trip, feel free to send us an email if you’re looking for specific recommendations! But for us, the following would be the absolute must-see and must-do in each area. Osoyoos:Visit the Osoyoos Desert Model Railroad, Rattlesnake Canyon, and the waterfront. 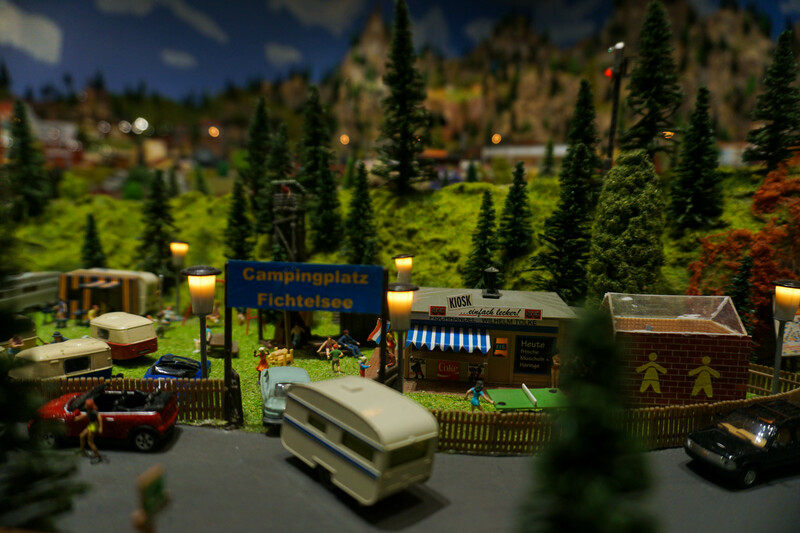 The Model Railroad is AMAZING, even if you’re not that into trains or models (which I am not.) It is rated SUPER high on Tripadvisor, and for good reason! The attention to detail is spectacular. Rattlesnake canyon is a great way to spend an evening – admission is free, and you just buy passes for the things you’d like to do. Trampolines, bumper boats, go carts, rides, and greasy food – a true North American date night! The waterfront is a big, sandy beach on the lake. Watch the sunset here – watching the shadows creep up the canyon walls is magical and colourful. If you only have one day in Osoyoos, we’d recommend spending the morning at Nk’Mip winery, the afternoon at the Model Railroad, the evening at the lake, and after dark at Rattlesnake Canyon – that way you can see it all in one day! If you're staying the night in the area, check out NK'MIP Campground! Penticton: From here, you can rent bikes and grab a shuttle up to the Kettle Valley Railway bike trail. Bike downhill all the way back into Penticton – lots of distance, lots of views, very little effort. In other words, just our cup of tea! 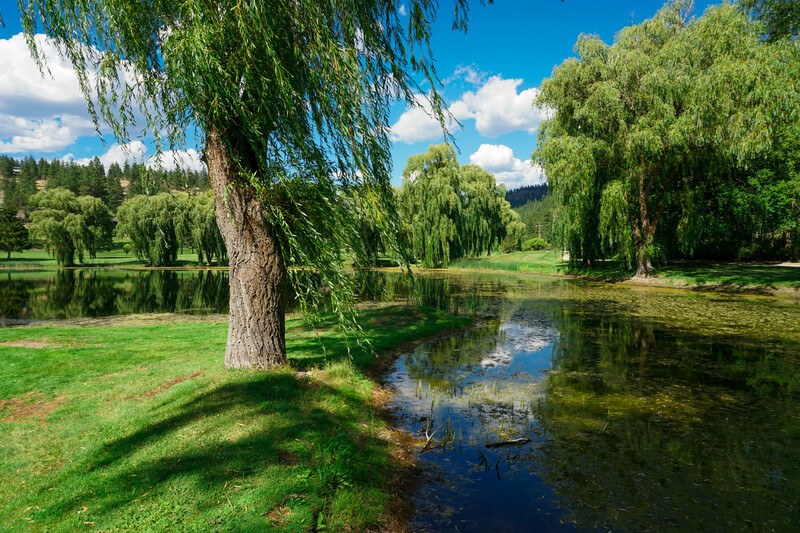 Just outside of Penticton, there is a GORGEOUS golf course called St. Andrew's By the Lake. If you've ever golfed, or even if you're looking to try, you should go. It is stunningly gorgeous, and the mountain road to get there is lined with charming small farms. It is ABSOLUTELY worth the trip! Kelowna: Kelowna is the largest city in the Okanagan, so if you are looking to load up on supplies, look no further. But don’t miss the Farmer’s market, Grey Monk Winery, or the myriad of provincial and regional parks in the area on your way through! 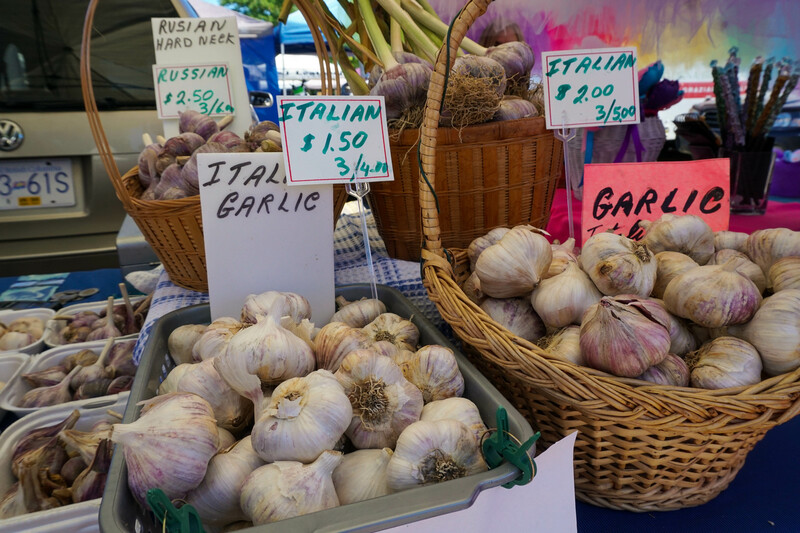 The farmer’s market hosts vendors and farmers from all over the valley – and the produce, food, and wares here are INCREDIBLE. Give yourself a Saturday morning to grab some wood-roasted coffee, wander the stalls, and stock up on flavorful, fresh veggies and fruit. If you’re hungry, grab some cinnamon buns or a crepe on your way through! There are many gorgeous wineries in the area, and if you are a wine lover, feel free to take a hosted wine tour – they’ll give you a sampling of some of the most famous wines from the area. However, if you’re just looking for a sample and a meal with a view, Grey Monk is a great bet. Located on the bench above the Lake, your lunch or dinner comes with some of the best views in the area! If you’re looking to spend the day in the water, or in the wild, visit any of the provincial and regional parks in the area – including Bear Creek, Knox Mountain, Okanagan Lake, Myra Canyon, and many, many more! Kelowna would be a good place to stay the night; there are LOTS of RV parks, so it will be much easier to find a spot, even last minute! We'd recommend Orchard Valley RV Park. If you'd like to stay the night in Kamloops, we'd recommend Kamloops RV park - it is centrally located and affordable! The Okanagan is a great addition to any itinerary, and we personally have lived and visited here many times! (Basically, it’s enough worth it to keep returning year after year.) If you have a few days to spare, take a detour from your planned trip, or spend a whole week here – you won’t run out of things to do!